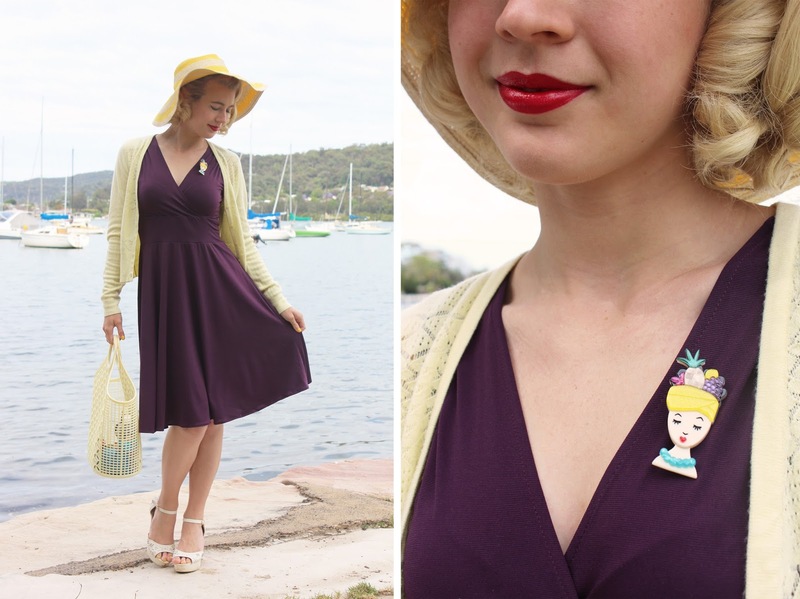 GracefullyVintage: Purple and Yellow + Win a Dress! This is my third dress by Karina Dresses, I really like them because they are pretty, wrinkle free and so comfortable. 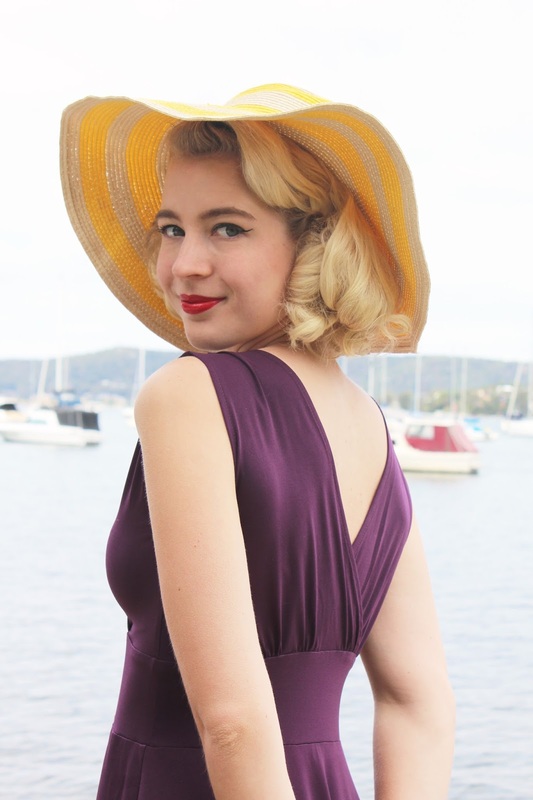 I thought that it would be a good idea to try the Audrey dress this time as the sleeveless design is very appropriate for hot summer weather and I can just chuck a cardigan on top if it gets a bit chilly. Purple and yellow (or mustard) has always been a winning colour combination for me so I couldn't help but add plenty of yellow to this outfit. 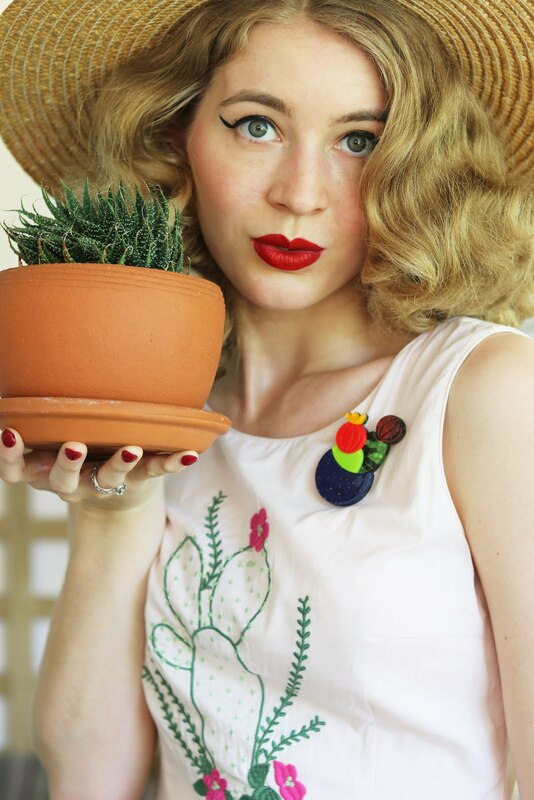 I've had the cardigan for years, I borrowed my mum's hat and the Erstwilder brooch looks really great with this plum backdrop. 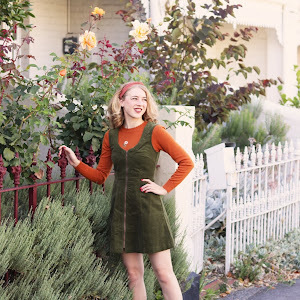 This is a dress that can be worn throughout the seasons with a bit of layering during the cooler seasons. I took size xs again for this brand, these dresses have no zips but plenty of stretch so if you follow the size chart you should be fine. If I am going to be away for a few days I always like to pop one of these dresses in my bag as I don't have to worry about ironing/steaming them, I didn't even steam this one upon it's arrival. The fabric is breathable for summer and I like how practical they are. Now is your chance to win a dress of your choice by Karina Dresses, sign up to their mailing list for your entry to count, log it into to the entry form below and be sure to check out the other entry options to further your chance of winning! Great giveaway! 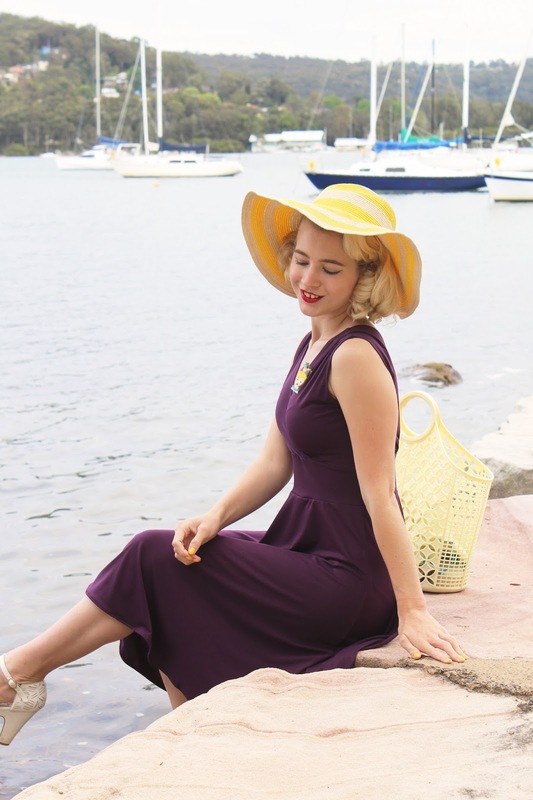 I'd love to win the navy polka dot Carolyn dress; it's so classic! I love the Ruby in navy!